Ah, the good old banner ad! While the days of the printed banner ad seem to be diminishing, the online banner ad is flourishing away in complete heartiness all over the web. Whenever you need to grab the attention of a site visitor without resorting to gimmicks, a banner ad does the job very nicely indeed. What can a banner ad do for your business? Well, you can consider it useful in two ways. One, a strategically placed banner ad will make site visitors pay attention to what it says, because it grabs their immediate attention. You can use this to your advantage by placing promotional products and content right in the ad space. Second, a professionally created banner ad can add appeal to your website, which will indirectly influence your site visitors to linger on a little longer on its pages. There’s a third way to use banner ads and that is to place them in other websites for people to follow the links into your own site. 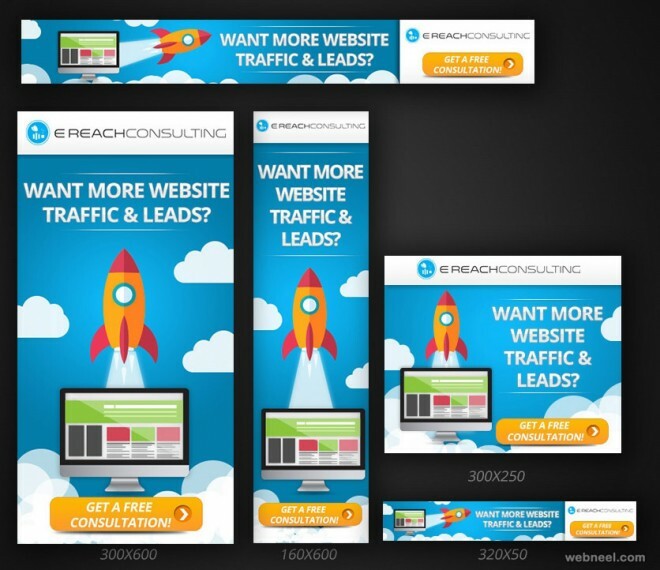 You can get heavily targeted and relevant site visitors this way, so why not create your own banner ads to boost your business? This is what we offer you – banner ads for the online media that are low in cost, high in quality, complemented by exceptional creativity and fast turnaround time. Our expert team is waiting for your call, so pick up the phone and dial our number today!